“Ohio University’s Sports Administration program is a point of pride for our institution. Focused on leadership and solving the increasingly complex issues that face today’s sport industry, our sports administration faculty and staff enjoy a national and international reputation. This place of prominence is due to their efforts and focus on advancing the sports administration field, promoting strong values and best practices, and fostering unique educational opportunities for future professionals in the industry. "Slippery Rock University is proud to be one of the few sport management programs in the country that has gained accreditation from the Commission on Sport Management Accreditation. The distinction of being an accredited program and the rigorous process demanded by COSMA has benefitted us in numerous ways. We found the principles specified by COSMA to be insightful guidance to elevating teaching and learning within our program. The process helped us critically and systematically evaluate our program and validate our classes and assessment methods. Following the COSMA criteria disciplined us to strengthen our formal data collection procedures through program and class assessments and improve our teaching and delivery of important information to our students. This tightened and expanded opportunities within our major and to the benefit of our students. Without question, we have elevated the value of our degree for our students and their employers through this process. The critical thinking demanded by the principles led us to a whole new strategic plan. From that plan, we restructured some of our existing courses as well as added new courses. This provided clarity and focus to what we were presenting and more clearly assessed our program outcomes in light of more authentic real world experiences for our students. One benefit is that we now have a program more accountable. In addition, we strengthened essential learning and placement in authentic practicum and internship sites in the profession that has clearly benefitted our students. The developmental approach used by COSMA to promoting excellence in sport management education has assured that we will continue to assess and improve our program. We know from our experience in following the guidelines that we are on a journey that can only continue to provide great benefits for our students in this competitive economy. Being an accredited program provides the external verification to the sport management community as well as all of higher education, that our faculty has satisfied the highest standards for excellence within the discipline and that our students are prepared at the highest level. Accreditation has reaffirmed our position as one of the preeminent undergraduate institutions in the country and has given us a competitive advantage on the national stage in our recruitment efforts as well as in our placement of our graduates. We are grateful to the Board of Commissioners for their diligence in establishing a program with such clear benefits to our faculty, students, employers, and the general public." "As the inaugural program to go through COSMA accreditation, Saint Leo University sought to affirm our recognition as a leader in sport business education through the peer led accreditation process. Saint Leo is one of only five undergraduate programs and the only MBA program accredited by COSMA. 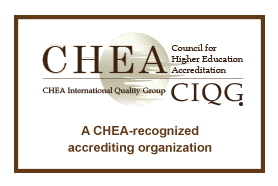 This accreditation differentiates Saint Leo University’s program based on independently developed quality standards. COSMA accreditation confirms a Saint Leo University education in Sport Business is among the best in the country. The COSMA accreditation has reinforced the reputation of our Sport Business program as one of the flagship programs in the Donald R. Tapia School of Business. It has also resulted in enhanced domestic and global brand awareness, increased enrollment in the program at both the undergraduate and graduate levels, and has served as a framework for enhancing the curriculum, enriching the theoretical and career preparation of our students and our efforts for continuous improvement." "Liberty University is extremely pleased to be one of the first five institutions receiving COSMA accrediation. COSMA accreditation provided the Liberty University Department of Sport Management a competitive advantage in relation to other institutions, as well as the opportunity to use the COSMA logo in promoting our program both internally and externally. We have found that going through the accreditation process not only provided the opportunity to integrate and maintain continuous improvement in the program quality through alignment with the COSMA principles, but helps Liberty achieve the goals to which we are internally committed. We strive to ensure that our students are gaining the knowledge and required skills to function efficiently and effectively within the sport managment industry." "Neumann University is pleased to have gained accreditation from the Commission on Sport Management Accreditation for our sport management programs. During these challenging times for higher education in general and reduced career/job opportunities, accreditation of our programs provides a distinctive marketing edge and assurance for our students and families that the programs are academically and experientially excellent." "Troy University is committed to the highest standard of excellence possible for each of its academic programs. We find this achievable through the process of peer review and specialized accreditation. This committment led us to seek accreditation through the Commission on Sport Management Accreditation (COSMA). I am proud that Troy University was one of the first five institutions to achieve COSMA accreditation. Moreover, I am proud that our faculty and academic administration strive to achieve these standards daily in their service to students." "Due to the interest of students in sport management education, some institutions may present themselves as possessing such a program without sufficient resources. Because sport management is comparatively new, the need to provide integrity, consistency, and rigor is paramount in moving it forward as a credible academic discipline. COSMA fulfills the essential role of identifying, promoting, and protecting outstanding sport management programs in higher education." "The College of Education at Wichita State University is fortunate to have a highly dedicated sport management faculty and staff, and this is reflected in the team's accomplishment of attaining first-time COSMA accreditation. The COSMA accreditation provides national recognition of this program and offers continuing growth opportunities for the faculty and students. Sport Management is a sought after degree at WSU and with a high post-graduation rate of our graduates finding careers with major league sports organizations, sports businesses, and also with universities, colleges, and public schools as directors of athletics. As Dean, I am proud that the Sport Management department has earned this mark of distinction that COSMA accreditation brings to the College and University."